I know I’m guilty of using a lot of superlatives when I describe the recipes I share here. But these vanilla cupcakes really do take the cake…no pun intended. I get multiple requests for this recipe every time I make it, and that’s saying a lot seeing as how I make these cupcakes no less than once a month between various birthdays, holidays, and school functions. In fact, it’s gotten to the point that when an event requires a baked good, I am specifically requested to bring Samantha’s cupcakes. There is just something so good, and a little bit different, about this recipe. These are not your standard cake-mix texture, light-and-fluffy cupcakes. They don’t rise a great deal and are actually somewhat dense, but not at all in a bad or heavy way. These cupcakes are incredibly moist, and the flavor is somehow more complex than your standard vanilla cupcake. If you’re familiar with the wonders of a chocolate Texas Sheet Cake, this cupcake recipe was actually adapted from a version of a white Texas Sheet Cake. So when you bite into one of these beauties, there’s an almost custardy undertone from the eggs and a slight tang from the sour cream, but most importantly, the true flavor of the vanilla shines through. Now I try not to be an ingredient snob, but I really believe it’s important to use a high quality, pure vanilla extract in your baking, particularly in a recipe like this one (or sugar cookies, or chocolate chip cookies) where vanilla plays a starring role. There is one brand of vanilla that I think is so superior-tasting that it’s the only type I’ll buy anymore, and that’s Nielsen-Massey Madagascar Bourbon Pure Vanilla Extract. You might not be able to find it at your local grocery store, but they carry it at places like Whole Foods or Williams Sonoma. I do a lot of baking, so what I do is order a huge, 32-ounce bottle of it off of Amazon, which lasts me at least six months. 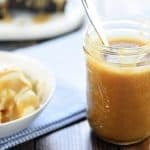 It might seem like a lot to spend on vanilla extract at first glance, but if you divide out the cost per ounce, you’ll probably be surprised to find that it’s comparable in price to your average grocery store vanilla…and I promise y’all, it is amazing stuff and really makes a flavor difference when you bake. Okay, I’ll hop off my soapbox now, but rest assured that when I share a list of the favorite secret ingredients in my kitchen/pantry arsenal, this vanilla will be towards the top. The other great thing about this recipe is that it’s a one-pot wonder. There’s no mixing dry ingredients in one bowl and creaming butter and sugar in another. Heck, you don’t even have to have the forethought to set out the butter ahead of time for softening. Just melt and mix in a big pot and you’re ready to scoop the batter into cupcake liners and pop your pans in the oven. This recipe honestly doesn’t take much longer to whip up than a boxed mix, and the final result is so much tastier that you may very well never buy a boxed mix again. Lest we forget, where there is a cupcake there must be frosting. 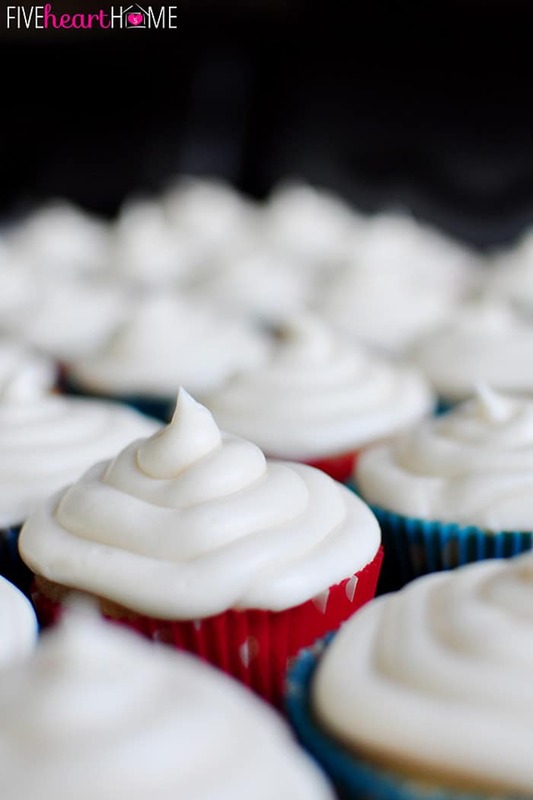 These cupcakes would be nicely complemented by just about any type of frosting, but in my humble opinion, they are unbeatable topped with cream cheese frosting. You can spread it on with a knife or, as I did with this batch of cupcakes, scoop it into a gallon-sized zipper baggie, snip off the corner of the bag, and pipe it on in a pretty little swirl from the outside perimeter to the center. Do keep in mind that this recipe doesn’t quite make two dozen cupcakes. Because they don’t rise a whole lot, you don’t want to skimp on filling your cupcakes liners, and as a result, the batter should yield around 20 cupcakes. I doubled the recipe for my son’s birthday party this past weekend and ended up with exactly 40 cupcakes. Since the amount of frosting made with this recipe is enough to generously frost about two dozen cupcakes, you may have a bit of frosting left over (oh, darn! )…and if so, you have my permission to eat it with a spoon. So what are you waiting for? Whether you’re celebrating a birthday, a holiday, the last day of summer vacation, or the second Tuesday in September, these cupcakes deserve a permanent spot in your recipe collection. Try them once and I think you’ll agree! 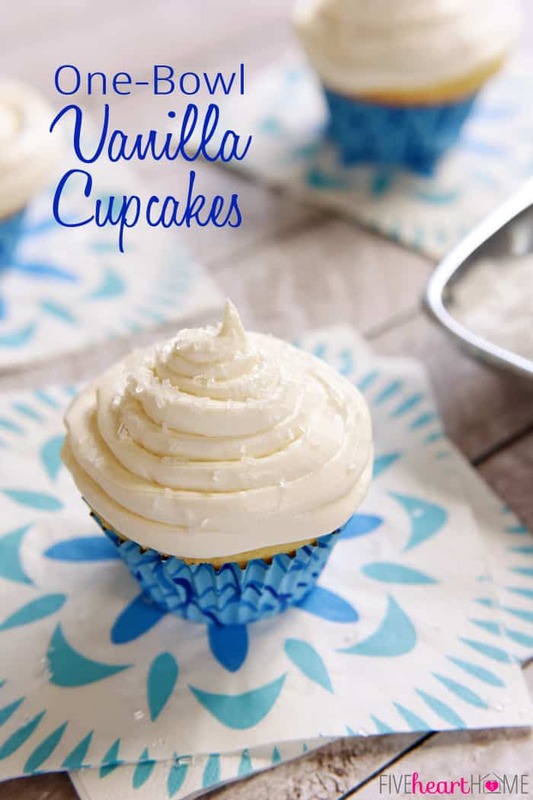 These are not your ordinary vanilla cupcakes but they just might become your new favorite, and cream cheese frosting puts them over the top! Adjust oven rack to center position and preheat oven to 375°F. Line cupcake pans with 20 cupcake liners. In a large pot, melt butter. Add water and bring to a boil. Remove pot from heat and briskly stir in flour, sugar, and sour cream. Batter should now be cool enough to gradually stir in the eggs without them scrambling. 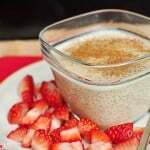 Mix in vanilla, baking soda, and salt until all ingredients are well blended. Scoop batter into cupcake liners. 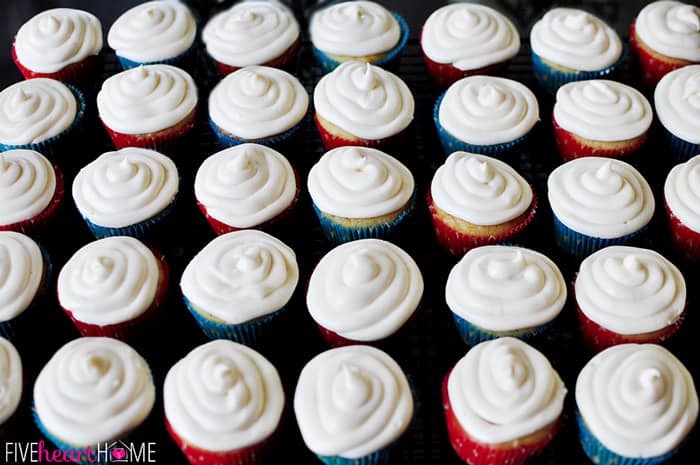 Bake for 16 to 18 minutes or until toothpick inserted into center of cupcake comes out clean. Cool cupcakes in pan for a few minutes before turning out onto a rack and allowing to cool completely before frosting. Using an electric mixer, beat together butter and cream cheese. Slowly blend in powdered sugar and vanilla, then beat until smooth and well-combined. Start checking your cupcakes for doneness at the 16 minute mark. You don't want to overbake them or they'll start to become dry, but you do want the toothpick tester to come out clean. 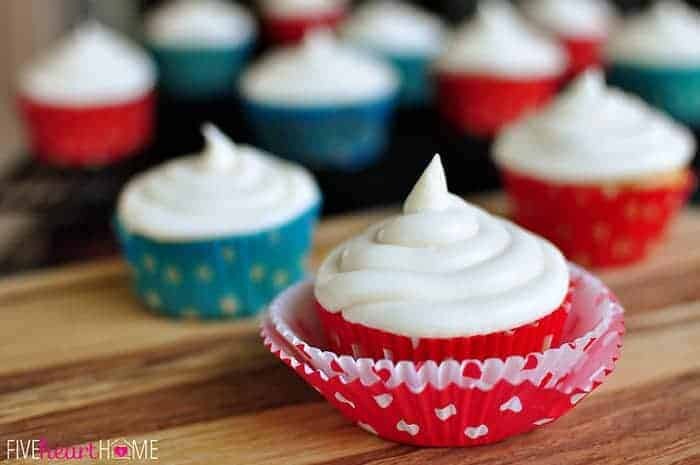 Make sure that your butter and cream cheese are completely at room temperature before making your frosting or it will have little lumps. You shouldn't need to sift your powdered sugar. I never do and my frosting always turns out smooth, but if your powdered sugar is especially clumpy, it might not hurt to sift it first. These cupcakes are so moist that you can get away with baking them early, if necessary. When I make them for a birthday party, I usually bake them two days ahead of time and pop them in the refrigerator in an airtight container. The day before the party, I frost them and put them back in the fridge. Then I set them out on party day and they have time to come to room temperature before everyone eats them. But don't get me wrong...they taste great cold, straight out of the fridge, too! Yes, just the basic ingredients alone . . . butter and sour cream (INSTEAD of OIL!) and high-quality vanilla . . . will yield a moist and flavorful cake. You’re welcome, Suzanne! Thanks for the comment…and I totally agree that everything’s better with butter. 🙂 I hope you enjoy these! These look delicious! I love how they come together so easily. They really are quick and easy, Melanie, which is a big part of the reason this is my go-to cupcake recipe! Well, that and the taste. 🙂 Thanks for the comment! I bet they’ll be a hit, Kalli…have fun with the baby shower! These sound delicious! I’m always looking for a great vanilla recipe! I’ll have to try this! Love the look of those stunning vanilla cupcakes! 🙂 This is my second Texas sheet cake recipe of the day! 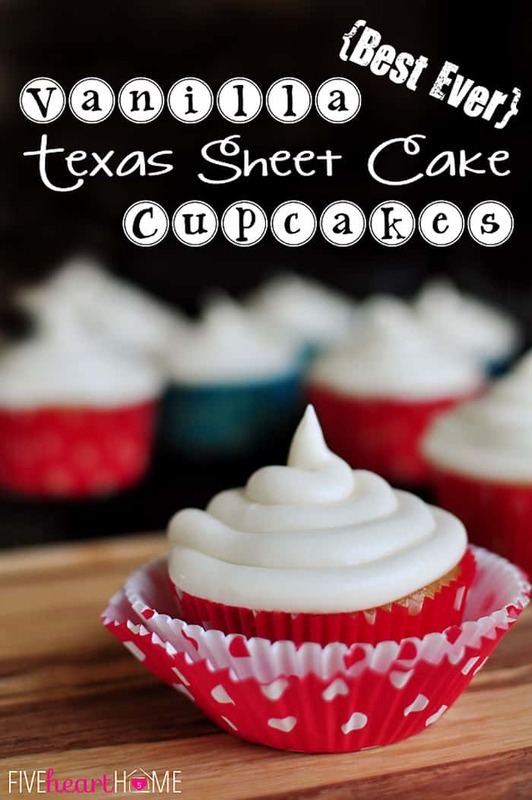 🙂 Loving the nostalgic posts about Texas sheet cake! I followed you here from the Chef in Training link party! Also, I’d like to invite you to come link up with me at Tasty Tuesdays. Thanks so much, Anyonita! I agree that you can’t beat a good ole’ Texas sheet cake. 😉 And thanks for the invitation to your party…I’ll definitely check it out! Ooh these look sooooo good! Pinned! Thanks for the tip on the vanilla, too! I had been using vanilla I had purchased when we were in Mexico, but I just ran out and was wondering what I’d replace it with. Now I know! Have a great weekend, Samantha! These look SO delicious! I’m always looking for a better vanilla cupcake recipe. I’m looking forward to trying them. And I wanted to let you know that you were featured at Give Me the Goods. Congratulations! Hi! We are celebrating my baby girl’s 2nd birthday this coming weekend. Could this recipe make a nice cake pop? What do you think? It seems truly delicious!! Hi Claudie! I haven’t tried this recipe as a cake pop, but I see no reason why it wouldn’t work. Since this recipe originally derives from a cake made in a 10″x15″x1″ sheet pan (and not a 9″x13″ pan), you may have to slightly adjust the ratio of frosting used in your cake balls to get the right consistency. And since Texas Sheet Cakes aren’t as light and fluffy as standard cakes, I just wouldn’t make my cake balls too big/heavy (so they don’t fall off the stick), and I’d be sure to let them firm up in the refrigerator for a good while after you form them into balls/before dipping. If you end up trying this recipe as cake balls, will you let me know how they turn out? Have fun with your party planning and I hope your little girl has a very happy 2nd birthday! I made them! BUT… I am actually making a 3D owl and wanted a knobbly look for the wings. In comes my silicone cake pop pan (making those pops many consider as cheat cake pops) and your recipe. So I did not make the (more delicious) rolled version. To make things even more interesting, I am highly allergic to wheat. I made them using rye, corn and almond flour. They came out super tasty and moist ( big problems with wheat free). Somewhat doughy, but slightly less almond flour will rectify that. Thanks for a wonderful recipe! Wow, Claudie…I’m really glad they turned out, even with your modifications! Thanks so much for coming back and letting me know. Your owl cake sounds adorable…I’m sure your daughter’s party is going to be a hit! 🙂 Have a great time! Hi Kathy! I have not made this recipe in round pans, but I’m sure it could be done. 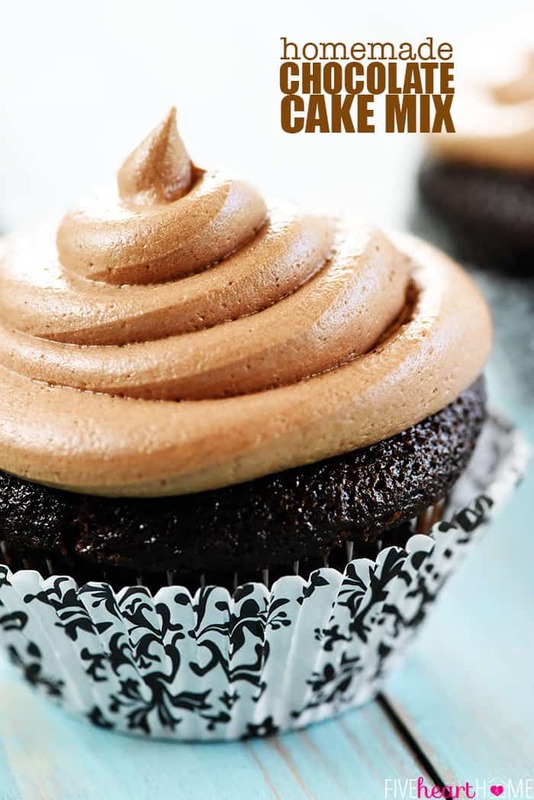 However, because this cupcake recipe is adapted from a Texas sheet cake recipe, the resulting cake is meant to come out pretty thin and flat without much rise. So if I were to bake it in round pans, I would probably divide the batter between three pans instead of two. I’m sure two pans would work, too, but I think the cake would just be a bit denser at that thickness. I’m not sure about baking time…just watch it carefully and make sure the center is a little risen and try the toothpick test. You don’t want to overcook it, but if it’s not cooked through, the center will sink when it’s out of the oven. Good luck and please come back and let me know how round pans work out! This recipe sounds and looks amazing! Do you recommend salted or unsalted butter? Hi! I am thinking about making these cupcakes for my husband’s birthday. I know you said that they don’t rise much, so I was wondering about how much batter you fill your liners with? More than 2/3 of the way full? Thanks!! Hi Randi! 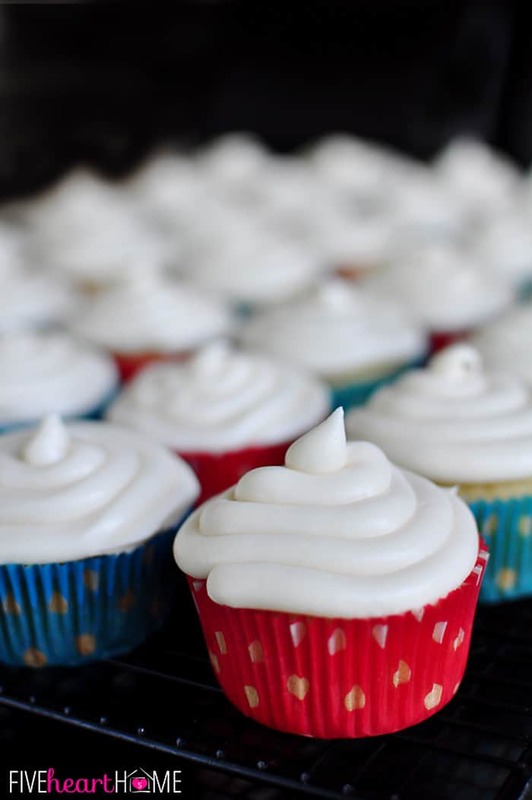 These cupcakes do rise a bit, but they don’t end up being really tall, domed cupcakes (though they do get some extra height when you frost them!). I use a #20 (3 tablespoon) cookie scoop to fill my cupcake liners. If there’s any leftover batter after I fill 20 liners, I just divide it between the already-filled liners. I would say that by the time I’m done, the liners are probably about 3/4 full? I’ve found that if I try to stretch the batter between 24 cupcake liners, the cupcakes end up too short. I’ve also divided the batter between just 18 liners, and the cupcakes end up a little taller, but they may need an extra minute or two of baking time. If these cupcakes are underdone, they will sink a bit in the middle as they cool (but they still taste great and it’s nothing that can’t be disguised by frosting!). Hope this helps! Happy birthday to your husband…I’m sure he’ll enjoy his cupcakes! Thank you so much for the quick and helpful response…and the tasty cupcake recipe! Hope you and your family have a safe and happy Labor Day weekend! Happy to help! I hope the cupcakes turn out perfectly for you, and that y’all have a great Labor Day weekend, too! That sounds great, Stacey, and I really appreciate that you’re going to come back and let me know how the cupcakes turn out with your modifications! 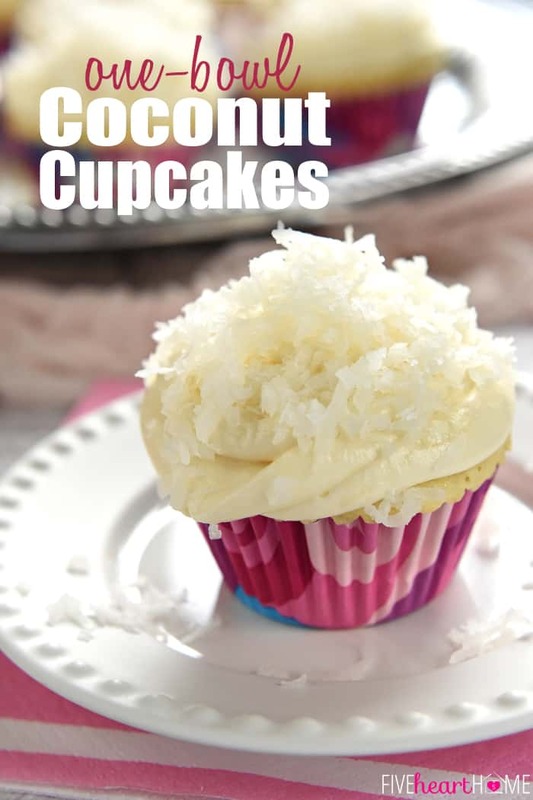 I sub coconut oil for butter all the time in my recipes, but I haven’t yet tried doing so with these cupcakes. I see no reason why it shouldn’t work perfectly, and I bet the coconutty undertone is yummy! I’m not experienced with using gluten-free baking mix but I’m sure that other readers who bake gluten-free will find your results helpful. Thanks so much and good luck! Darn, Stacey! I’m sorry to hear they fell apart…but aren’t you clever for salvaging them anyway! I wonder if it was the coconut oil or the gluten-free flour blend to blame, or a combo of the two? I may have to try these cupcakes with coconut oil and regular flour sometime to see what happens…and if I do, I’ll come back and report my findings as a reply to this comment. Thanks so much for coming back and sharing your results. Happy birthday to your daughter! I just made these cupcakes and they are delicious! They are so moist on the inside and taste great. My daughters absolutely loved them! Thanks for sharing. Just polished off my second cupcake from today’s kitchen efforts. I am in serious danger of losing my self control and going for a third. These came out perfectly and are the best Vanilla cupcake I have found. Big thumbs up Samantha from me in New Zealand. Samantha, these are just breath-taking. I just finished making a regular (chocolate) Texas Sheet Cake, and now I want your vanilla cake!! I love to bake with sour cream, and cream cheese in the frosting sounds divine. You are so sweet, Joy. Sour cream does great things for baked goods, doesn’t it?! I love regular Texas Sheet Cake as well, which is why I was so excited to discover a vanilla version (and I think I might just like it even better than the traditional chocolate variety)! Thanks so much for your comment…hope you have a great week! Hi I was just in Home Goods and saw Nielsen Massey pure vanilla bean paste and Tahitian Gold pure vanilla extract bourbon premium. So I bought them both! Which do I want to use for the cupcakes? Thanks! Hi Deb! Wow, they both sound delicious, and I think that both would work. I believe that vanilla bean paste is a bit stronger than vanilla extract, so if you use that, maybe start with half of the original amount called for. The Tahitian vanilla extract should be fine to use at the regular amount. If it were me, I would just smell the two and try whichever one I thought had the more appealing scent! Then the next time I baked the cupcakes, I would try the other one. 🙂 Good luck and have fun experimenting! Oh goodness, Marie…I’m afraid I have zero experience with high altitude baking! So I can’t offer any advice, but I did find what looks to be a good resource on the topic: http://www.kingarthurflour.com/recipe/high-altitude-baking.html . Maybe it will help you at least a little bit? I hope you figure out a way to make this recipe work for you at high altitude, and if you do, I would love for you to come back and share your results for anyone else who has the same question! 🙂 Good luck! Hope you have a great day. Hi Samantha, I was looking for a recipe for my daughter’s 1 year birthday when I found yours. I was planning a raspberry filling. Do you think your recipe would work with a filling? Any suggestions? Thanks! Hi, Kristen…great question! I think that the flavor of these cupcakes would be great with raspberry filling. As far as filling them, are you planning on sticking a piping bag in the center of the cupcakes and filling them that way? I think that would work just fine, as long as the cupcakes are at room temperature. Like I mentioned in the post, these aren’t really light, fluffy cupcakes…they have a denser texture, but without being heavy. That being said, they can be somewhat firm/solid when you refrigerate them, and I’m not sure if they might offer too much resistance to having filling piped into the center if they were cold. So to summarize my rambling answer… 😉 I’ve never filled these, but I think it would work fine. And if you ran into any issues, you could always scoop a little divot in the top, squeeze in some filling, and then frost over the top! No problem, Kristen! I think you can make the complete cupcakes the day before if you’d like to. 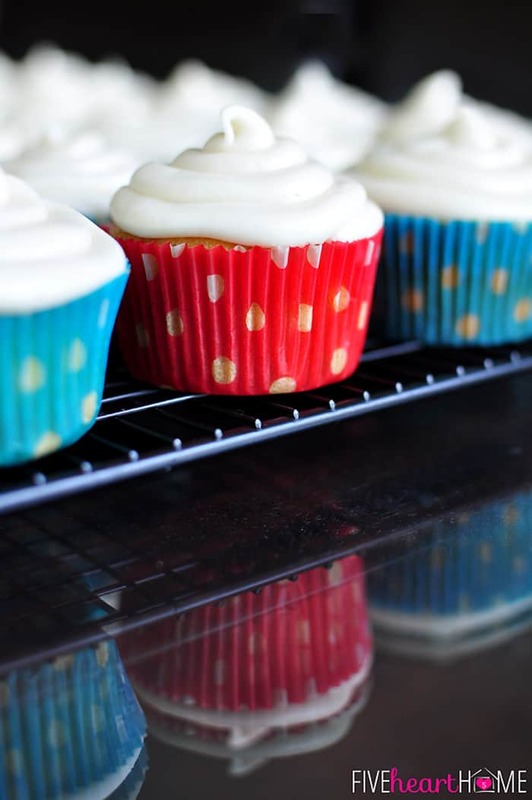 Bake the cupcakes, and once they’re cool, fill them and frost them. Then put them in a container in the refrigerator overnight. (I have some big “Rubbermaid TakeAlongs” brand plastic containers that hold a dozen or so cupcakes each, so I usually fill a couple of those with my cupcakes and stack them in the fridge.) 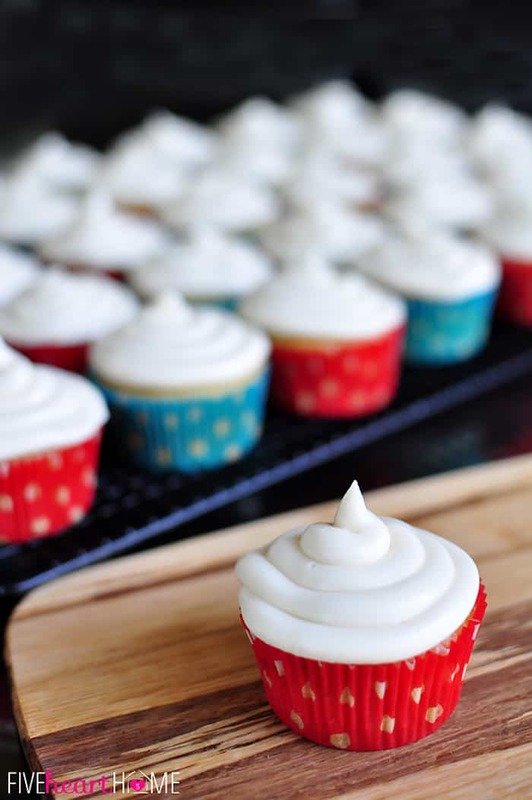 An hour or so before your party, take the cupcakes out of the fridge so that they can come to room temperature before serving (although they’re tasty cold, too!). If you have any more questions, don’t hesitate to ask. Good luck! Just wanted to clarify, Kristen…you don’t have to bake, fill, and frost all on the same day. 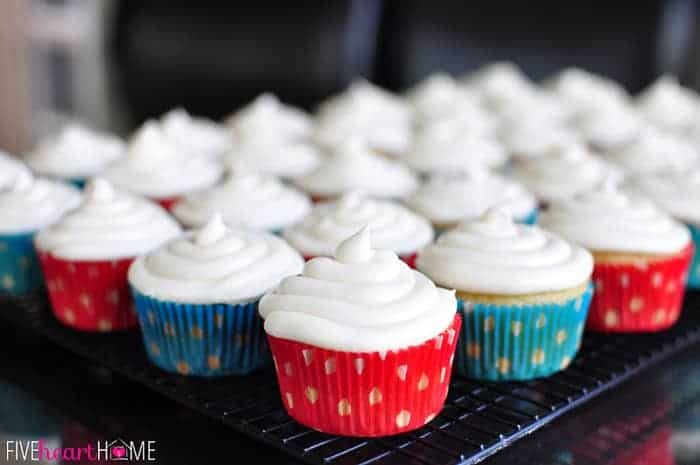 It is perfectly fine to bake the cupcakes one day and fill and frost them a day or two later! If you do this, I would refrigerate the cupcakes after they cool (refrigerating them will keep them fresher leading up to your party), then let them come to room temperature before filling and frosting. After they are all done, pop them back in the refrigerator, then take them out an hour or so before serving to come to room temperature. They should be perfect! I’m not trying to confuse you…it just occurred to me that you might want to do the different steps on different days, and I didn’t want to mislead you with my last comment by making you think that the cupcakes had to be completed all on the same day. I’m so glad to hear that the cupcakes turned out well and were a hit, Kristen…I really appreciate you coming back to let me know! Now put up your feet after all of that party planning… 😉 Hope you have a great week! Go buy a small bottle of vodka and make yourself one drink so that there is room in the bottle. As you use those expensive vanilla beans – after you scrape the seeds for your recipes stuff the bean pods in the vodka bottle. It takes a while for it to come to the rich brown color – maybe a month or two depending on how often you use vanilla beans. You can refill the vodka over and over. I love this because it is so cheap and gives me a way to get my moneys worth out of those expensive beans. I call this my eye roll ingredient, because whenever I use it baking something I typically will almost always get an eye roll when someone takes that first bite because it is so yummy, good vanilla extract really does make the difference! We searched hundreds of vanilla cupcake recipes and decided to try these. They are AWESOME!! So super moist and yummy. We would add even more vanilla. Totally taste made from scratch. Thank you!!! Yay, Emily! It makes me so happy to hear that! 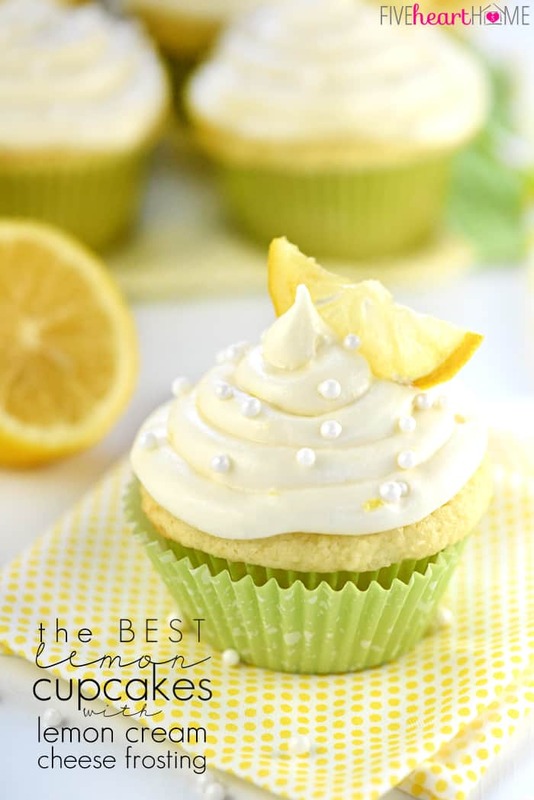 And I have to agree with you…I don’t call them “Best Ever” cupcakes for nothing. 😉 I’m just curious…did you end up making them with the Nielsen Massey vanilla? Because if you think these cupcakes already taste great with regular vanilla, the NM puts them over the top, in my humble opinion. 🙂 Thanks so much for stopping by to let me know that they were a hit! Can this be baked as a sheet cake instead of cupcakes? 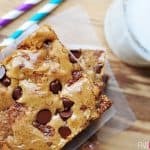 Would there be any adjustments (Since it came from a sheet cake recipe)? I’ve been trying to find a worthy recipe for a vanilla cake for MONTHS now, and every time they come out either too buttery, too bland, too dry, or just gross. THIS was PERFECT. I made a batch for my daughters birthday last weekend and everyone loved them. I followed the recipe exactly then threw in a handful of sprinkles to make it “funfetti” and they were AMAZING The frosting was not too sweet with the perfect balance of sugar and cream cheese. Even 5 days later they were still perfectly moist and flavorful. I’m actually sad that I don’t have any left to snack on, but I can’t make a whole batch just for myself. THANK YOU THANK YOU THANK YOU. I’ll be sure to check out the rest of your recipes too! Oh, I’m so happy to hear that these were a hit, Lauren! I’ve never added sprinkles to them…my kids would LOVE that idea. Hope your daughter had a wonderful birthday, and if you decide to try any other recipes from the site, I hope they’re just as much of a success as these cupcakes were. 🙂 Have a great week! I have no idea how I missed these! Anyway, I pinned them already…lol. Thanks again, Sam! Ha, Deb…glad you found them! You’ll just have to make them a few times in a row now to make up for lost time… 😉 Thanks for stopping by and hope you have a great week! Hi! 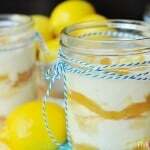 Love this recipe and am hoping to make these for my sons party next week. I am doing a train cake so they would need to be frosted green-have you dyed this frosting before? How does it turn out? Thanks! Hi Megan! So sorry for my delayed reply. You should have no problem dying this frosting. Gel food coloring is a lot more concentrated than liquid food coloring, so I think that often makes it easier to achieve a dark color for your frosting, but either type should work. Your train cake sounds adorable and I hope your son has/had a great birthday!